Discover The Center of Excitement! I am delighted to share with you the new, exciting, branding of Annenberg Center for the Performing Arts just in time for the exciting new 2014-2015 season. Welcome to The Center of Excitement! Welcome to Annenberg Center Live! About two years ago I was having coffee with Naomi Grabel, an Annenberg Center board member and Jane Kamp director of development (Jane is now with the Pennsylvania Ballet) when they invited to me to help with rebranding the Annenberg Center. They had one simple challenge — help us let the world know about all of the great things happening live on these stages. After all, Stephen Colbert was there. Jon Stewart broadcast from the Center. Liv Ullman made her American debut on these stages. Hugh Masekela, Diana Reeves, Jason Robards, from the Irish Gate performing Waiting for Godot to shows on their way to Broadway, these stages are where excitement starts. On any night you might discover an unforgettable debut of groundbreaking new pieces or an exhilarating reinterpretation of a classic like Joseph Marcell in King Lear opening on September 24th. So the Verse Group team set about creating a new expression for the center, co-creating with the managing director, the incomparable Michael Rose, with Dawn Frisby-Byers director of marketing and the rest of the wonderful staff and board members. In the new branding we seek to convey the powerful emotions, the exhilaration, the entrancement and the sheer boundless joy to be discovered in live performances! So join me in celebrating the new Annenberg Center Live branding and the new 2014-2015 season! Here’s the story behind one of the award winning designs we created. 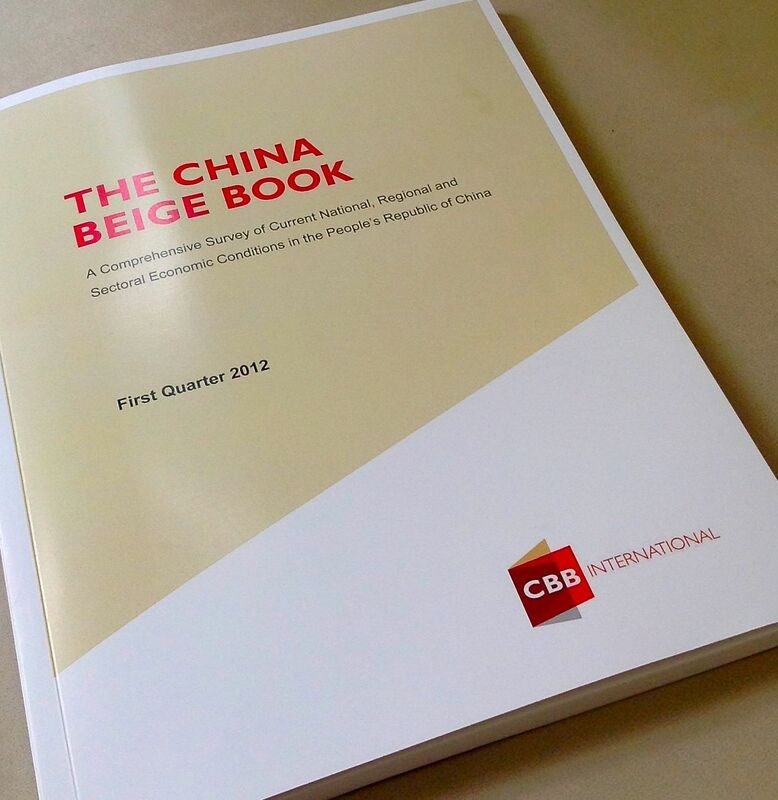 This is the story of China Beige Book. Ever wonder how to get reliable consumer research in notoriously difficult to research countries like China, Vietnam, India? You have to know someone. 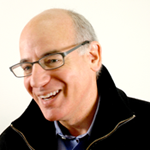 One of the best to know is Craig Charney. Craig is one of the few people who can field solid market research just about anywhere in the world including Afghanistan and Pakistan. Talk of the Town, recent issue of The New Yorker: Chinese Puzzle. The CBB folks came to us with the kind of challenge we love — express their vision of providing openness and transparency into the Chinese economy. Together the Verse team — Sylvia, Cristiano, Marina — and the CBB team came up with the design concept which conveys a translucent cover for a transparent book. CBB. Now the Chinese economy is an open book. So what does that other Beige Book look like? And the html version of the Beige Book isn’t nearly as colorful as this. So, to our friends at CBB International, congratulations on the award winning work. And to our friends at the Federal Reserve, give us a call about the Beige Book. If you liked what we did redesigning FedWire, you’ll love what we can do for The Beige Book. Saving Money is BRITE, Too. If you are a member of the American Marketing Association, you can save $100 on the BRITE conference fees. Just go to the event page on the NYAMA website and all the info is there. Now in its 6th year, BRITE ’13 will bring together 400-500 leaders and entrepreneurs from business, technology, and media, to discuss topics such as: the future of brand leadership, big data analytics & insight, and emerging trends in technology and consumer culture. Our speakers this year include: leading executives from PepsiCo, Meredith, Intuit, andIntel; founders and CEO’s of startups Vimeo, LevelUp/SCVNGR, and IconicTV; authorsCharles Duhigg and John Gerzema; and more. Updated to fix some formatting problems! The improv pros at Chicago City Limits (here in NYC) are collaborating with the New York American Marketing Association (NYAMA) to give a special workshop on Creativity in Marketing on May 19th! Sign up, bring a friend, and learn how to unlock your creative side. Take center stage! Grab the spotlight! After all, the best ideas in marketing are not limited to the creative directors on the agency side. New York's own Chicago City Limits! One last secret I’ll let you in on — these workshops are exhilarating! And yes, this event is limited to 40 people only, so that everyone gets the opportunity for hands-on experience with the CCL team. So sign up now!